An innovative and effective online course that combines world-class content from Collins with the world's largest community of language learners on Livemocha.com. Collins has teamed up with Livemocha, the world's biggest online language learning community to create a series of internet-based language courses that take the user from complete beginner to complete confidence in four easy steps: 1. Use the access card inside the box to activate your 6-month online course subscription. 2. Work through 24 units of content, divided into four levels, using videos, audio and a wide variety of interactive activities to practice what you've learned. Over 100 hours of content. 3. 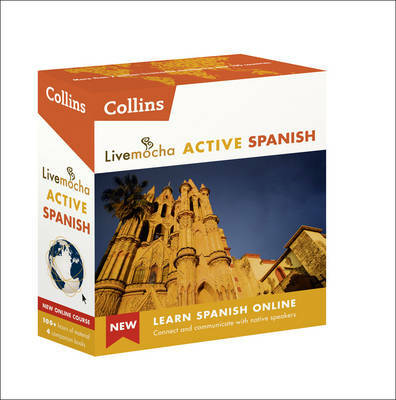 Make use of Livemocha.com's innovative network of 6 million language learners to chat in Spanish with native speakers. Have them comment on your work, or just socialise and make new friends. 4. Use the four handy companion books to supplement your learning wherever you are. Who are Livemocha? Livemocha redefines language learning by combining dynamic online courses in over 30 languages with the world's largest community of language learners. Livemocha has over 6 millions members in over 200 countries.